2pc Infant/Toddler Sets only $4.75! 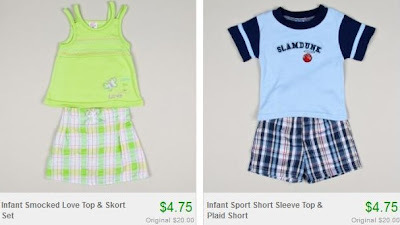 Right now at Totsy, you can get super cute 2-piece short/shirt sets for only $4.75! You'll find outfits for boys and girls, 12-24 months.